It’s a fact but not an epic truth that even the world dislikes an iota of change. The world may appreciate your dream provided yours does not appear queer. The term “change” triggers the cynics but it becomes the source of code breaking for those who are willing to pursue their vision though surrounded by the shortsighted that are blinded by the same means and ends. A few in the society touch the world with passion for deferred dreams and compassion for the sidelined or silenced with heartburns. 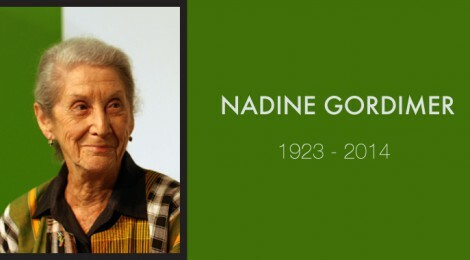 And one of the foremost iconic figures in the literary world is Nadine Gordimer. It might be easy to recognize the drum beat but the question is do you think that it is easy to recapture the beat without knowing the original drummer. Is it possible to separate the dance from the dancer? Who is greater, the performance or the performer? What is remembered or kept in the long-term memory- the movements of the dancing feet or the whole figure? The book of Ecclesiastes tells that “There is no remembrance of former things, nor will there be any remembrance of things that are to come by those who will come after” (NKJV, 1012). It is evident that our memories are too short to remember historical records, events, history beyond and below. Something new occurs time to time. Man falls short of time, interest and energy for past glories and their retrieval; however, it is noteworthy to get back to Gordimer’s writing desk for her inspirational, straight talk from the bottom of her heart. Gordimer was able to articulate the local consciousness through her pen. She was in fact projecting not only the social evils but pouring oil and wine on the wounded psyches of the indigenous lives. No man is devoid of the political concern of the land he or she stands. It is beyond imagination to escape social obligations of one’s society. You are not bound by these factors but you are called to take care of them. Gordimer was the beacon of light in this regard. She was not after any great scientific expeditions but she had her heart full of social concern to serve the dead, the living and the unborn in South Africa. She was able to universalize the local consciousness through her works of literature. Esthetic application is of paramount importance to any literary work of art. You never touch human beings without evoking their senses – sight, hearing, smell, taste and touch. A writer connects the world to the senses. It’s not words that become a wagon wheel to carry his or her thoughts but the manner of evoking readers’ senses throws some light on effective communication. It’s called emotional competency. Accuracy and fluency is achieved because the readers’ emotional interest is taken care of by the writer. Gordimer helped her readers across the world to see social needs and evil, hear a cry for equality, smell the sweet fragrance of cosmic harmony, taste the goodness of coming together and to feel the warmth of interracial interdependence. Textual Scholarship and Political Commitment is the end of any piece of writing because it has withstood the test of time. I am not after ‘the death of the author’ but the depth of universal values and their strong emphasis through writings. ‘Man is a social animal’ but he is also a political being to be conducive to others. He or she is expected to be sensitive toward a person, a place, a thing, an animal and an idea as well. Textual scholarship without political commitment can destabilize the whole structure of cosmic harmony and lead to just functional problems – ‘selfish ambitions, dissensions, heresies . . . ‘(Scofield Study Bible, 1616). Political commitment without textual scholarship stops with clear thinking and there is no room for clear cut deliberations. Both the elements are interdependent in nature to solicit for the welfare of the mind and heart. Gordimer was always on the move to fight pride and prejudices between the power driven and the poverty stricken. Gordimer has repeatedly used certain social situations in her fictional writings. Her words add value to the lives of many especially gender related concerns/issues. It’s more important that you add value to your environment through your existence on this planet. Nadine Gordimer, as a sensitive writer made life by her clear writing and made an impact of universal truth dealing with social situations on the world of inequality and discrimination. Barbara J. Eckstein in her ‘Nadine Gordimer: Nobel laureate in literature, 1991’ clearly states the positive impact of the ideological accommodations which pave the way for breaking the absolute separation and the hegemonic way of dealing from a single group hierarchy in the powerful and the marginalized society that feeds on apartheid. Gordimer was able to bring up the constant struggle between ‘social choice ‘and ‘ideological determination’. Conversely, she also showed to the world that it’s not easy to interpenetrate such interracial issues in the wake of equality and cosmic harmony. It is going to be a long journey to the politically radical move and socially relevant empathy. Arul P Gaspar is a teacher in English language and literature. He teaches Thought and Writing and Postcolonial Literatures at Christ University, Bangalore. His research areas of interest are Language and Literature (ELT), Postcolonial Studies and Cultural Studies. Being a teacher, he aspires to focus on real world situations through his reading, writing and publishing.